American Kestrels (Falco sparverius) are North America’s smallest raptor species. Once regarded as the most common raptor in America, kestrels have been declining across many parts of their large range over the past decades. Nest box programs aimed at addressing the limited breeding habitat for this species have popped up all across the continent, yet in many cases, occupancy rates in these artificial cavities are low. What separates the good real estate from the bad? How do the kestrel’s prospects look as we enter the 21st century? This presentation offers a few answers, and a lot more questions. After graduating from Brandeis University in 2009, Matt Kamm decided to turn his love of birds into a career with Mass Audubon. As a Bird Conservation Assistant, he did field surveys and writing for the Massachusetts Breeding Bird Atlas 2, collaborated on the first two State of the Birds reports, adapted Audubon Vermont’s successful Foresters for the Birds program for Massachusetts, and launched Mass Audubon’s American Kestrel Nest Box program. 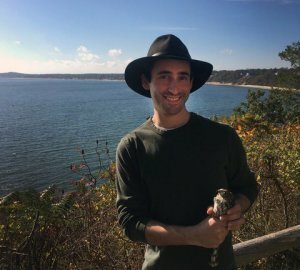 He is currently a Ph.D Candidate working with Dr. Michael Reed at Tufts University, where he collects data on 100+ kestrel nest boxes across Massachusetts to learn more about habitat use in these fascinating falcons.